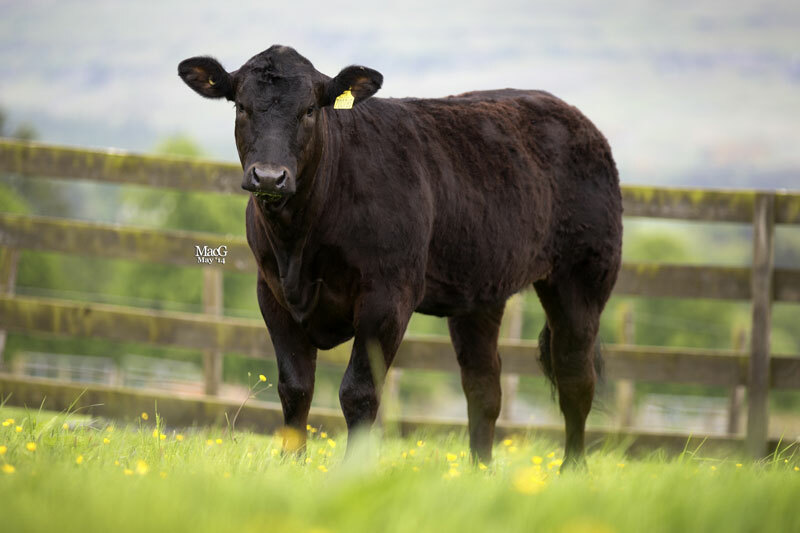 Saunders Emily – Emily is an honest cow and puts it all into her calves – as you will see from the cracking Goldies Forever Black heifer calf at foot. Served 16/11/2013 with Hinz, then ran with Hinz. 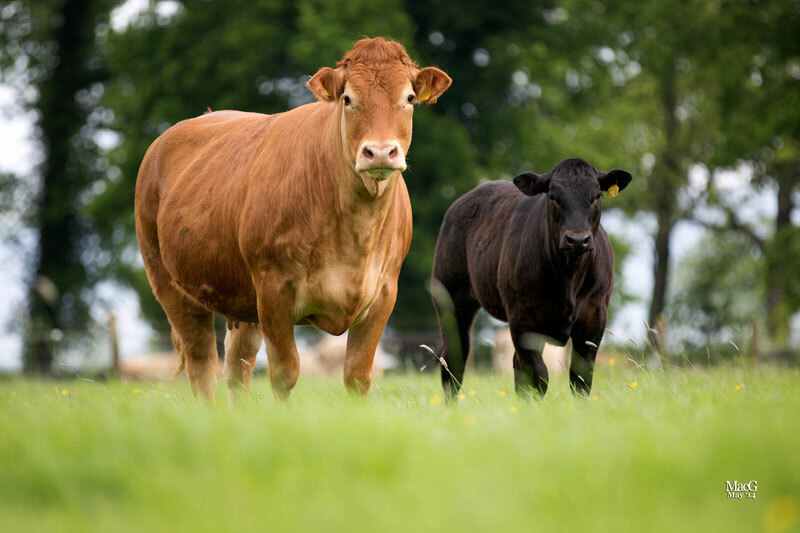 Greenwell Eden – Bred at the renowned Greenwell herd, Eden is a big, solid cow and is very correct. She is a milky cow with a perfect udder. Served 8/12/2013 with Galeo, then ran with Galeo. 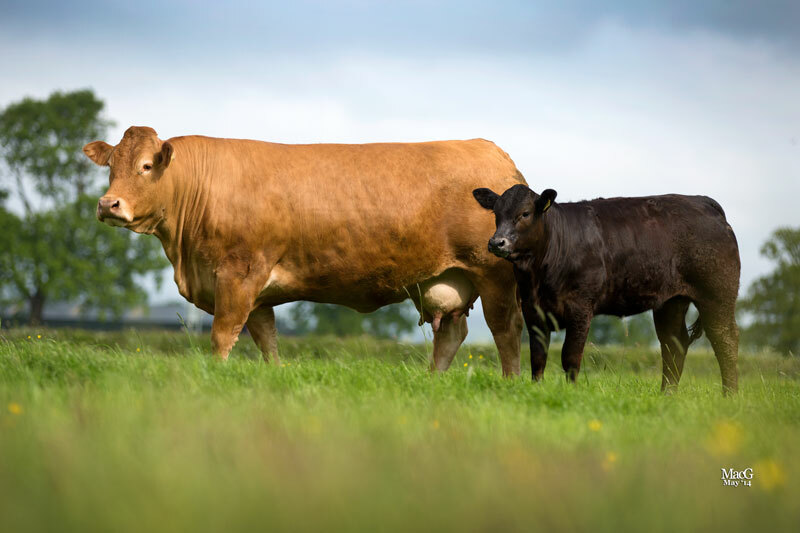 Grahams Donna – Donna is herself a daughter of Grahams Alexander – which has sired females to 13,000gns and 14,000gns. 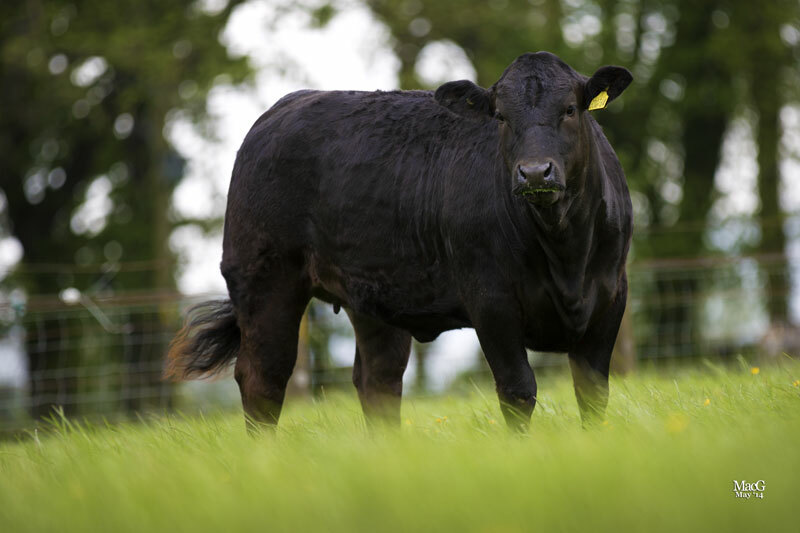 She is wide muzzled, deep bodied and leaves good quality calves (dam of 7500gns Grahams Gemini, Carlisle 2013). AI’d to Ampertaine Foreman 21/12/2013. 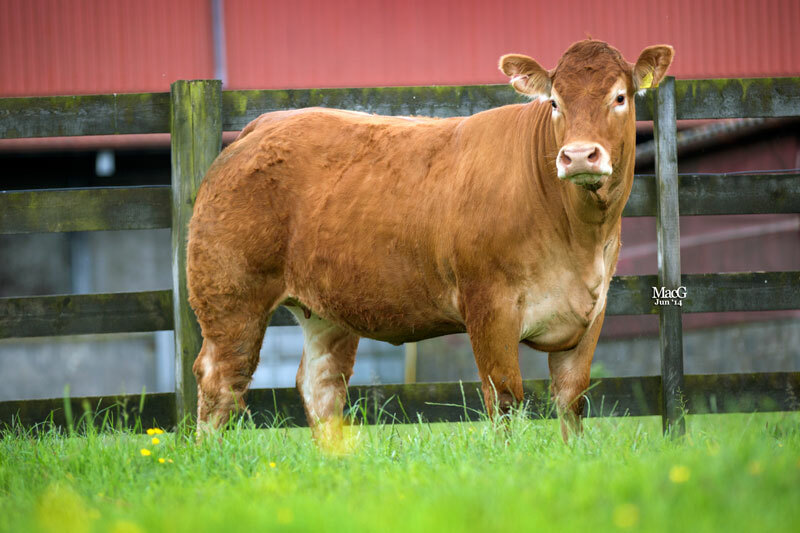 Saunders Dusty – Nice, smooth cow with perfect udder and legs – she will make a good breeding cow and longevity is certainly a factor with this package. Served 18/12/2013 with Galeo, then ran with Galeo. Grahams Hazel – Sired by Baileys Elderado, which also sired the 37,000gns Grahams Humphrey. Hazel’s dam is the great French import Agate (dam of 10,000gns Grahams Ethel). A well balanced heifer with lots of width. AI’d May 20th to Diablo. 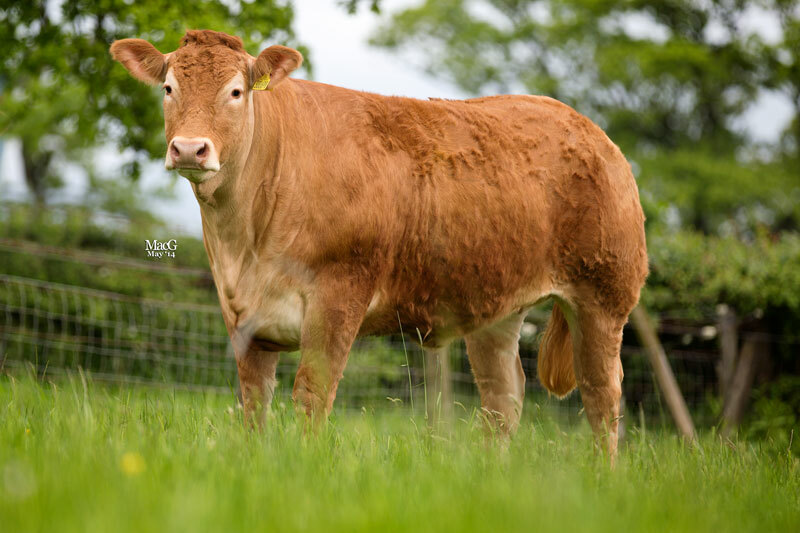 Grahams Heather – This smart polled heifer is a maternal sister to the 26,000gns Grahams Dublin. She is sired by the top French Homozygous Polled bull, Tigris. AI’d May 25th to Hinz. 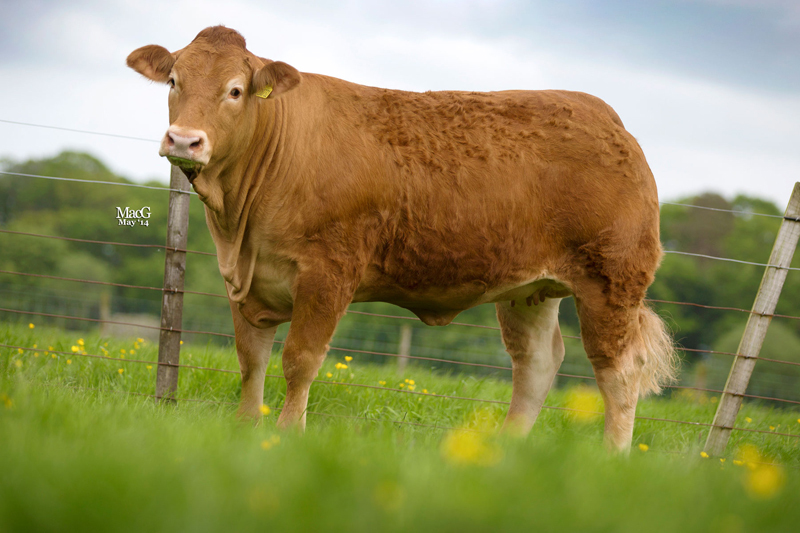 Grahams Heartache – A well grown heifer by Grahams Alexander. AI’d May 15th to Claragh Franko. 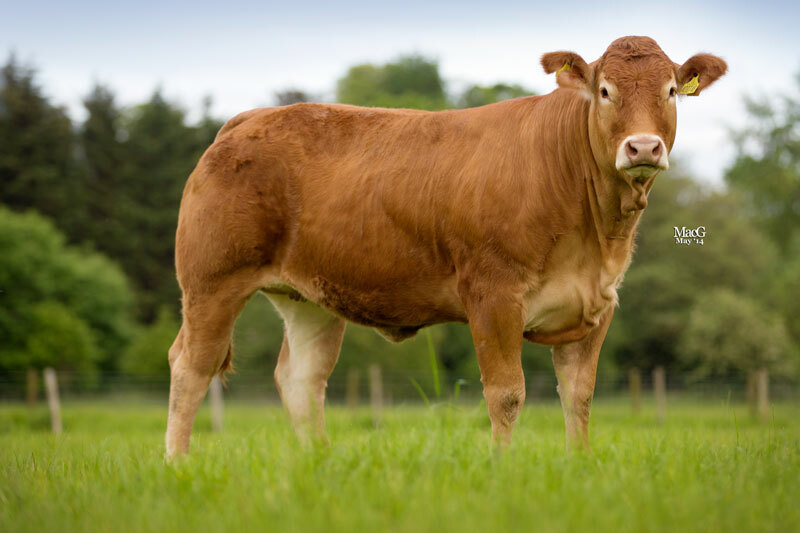 Grahams Honeysuckle – Polled and full of French breeding, she is by the Homozygous Polled French bull, Tigris (sire of the 8000gns Grahams Highgold). Her dam is our French matriarch, Ulsie, one of our best breeding females. AI’d May 25th to Hinz. 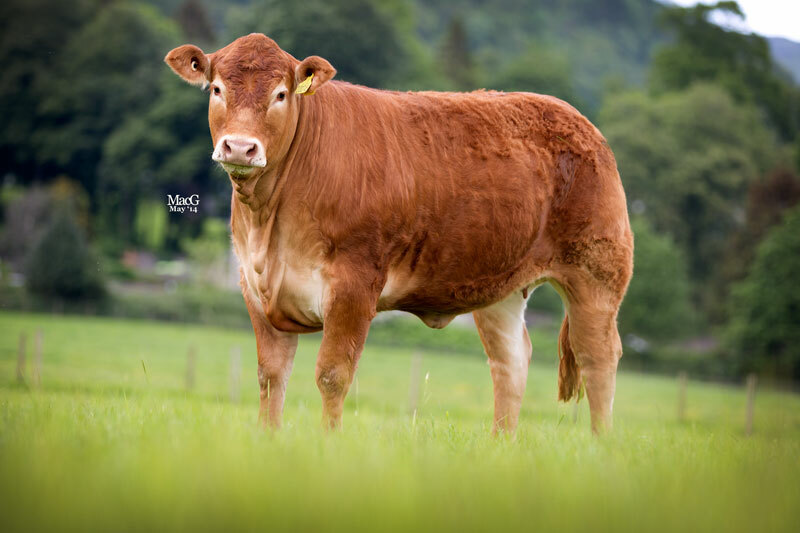 Grahams Honeycomb – Honeycomb’s dam, Grahams Foxtrot, was our 2013 show winning cow, securing no fewer than five red tickets – including a class win at the Royal Highland. 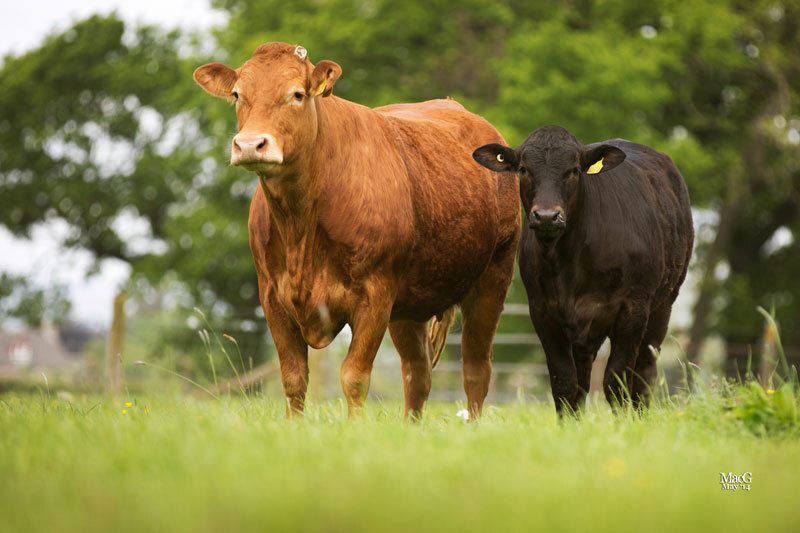 Sired by our polled French bull, Bagou, Honeycomb has the strength and capacity to make a great cow. Grahams Black Henrietta – The black beauty is a maternal sister to the much admired Grahams Gayla (sold for 17,000gns in 2013). A Goldies Forever Black daughter, she is wide and deep muscled, with an excellent temperament. Her dam, Cavaliere, is herself a feature in our current flushing programme. 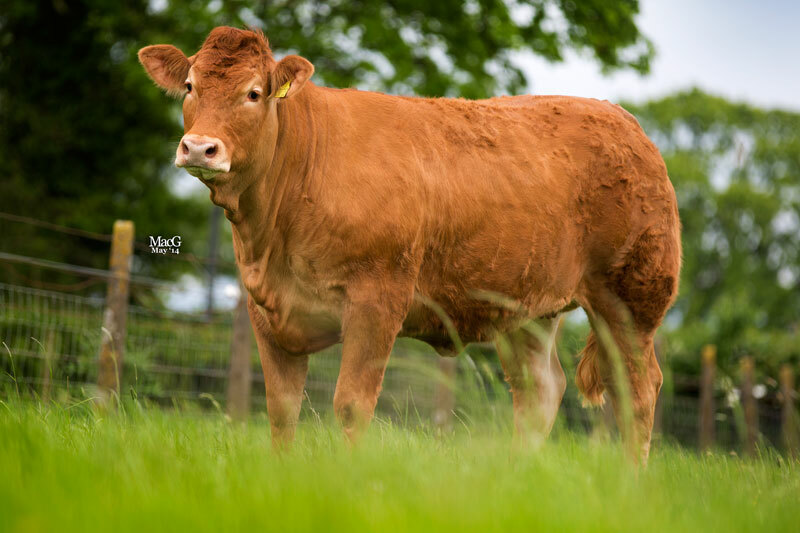 Grahams Holly – This will likely be the first red Homozygous Polled Limousin female to sell in the UK. 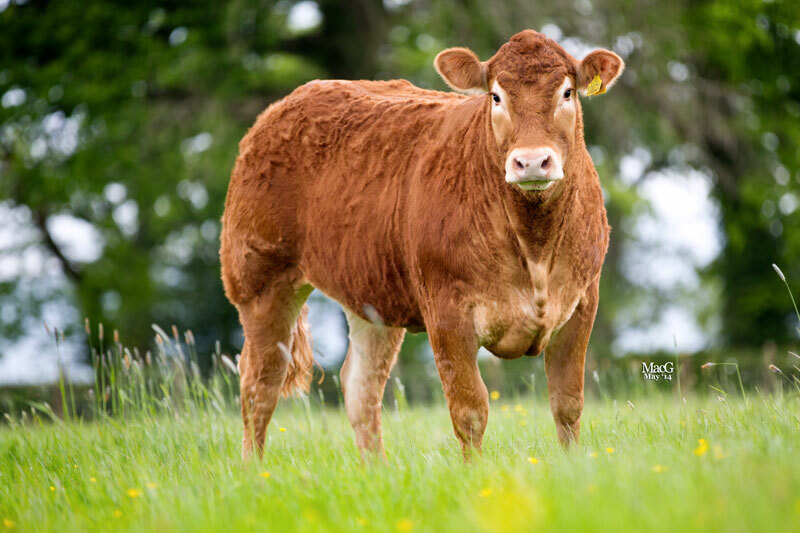 She is an outstanding example of the Limousin breed – full of muscle, style and quality. Sired by Tigris, her dam is a super young French cow, Fougue, a polled daughter of the French-bred Bagou. 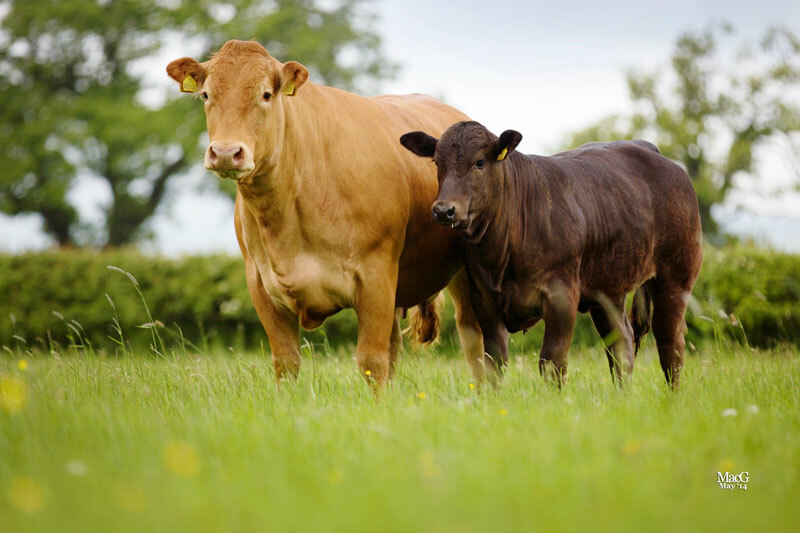 This package includes trait leading EBVs for birth weight, calving ease, maternal calving ease and gestation. Grahams Black Iris – Black Iris is again Homozygous Polled. Sired by the 30,000gns Goldies Forever Black, she is the first calf from the smart young Polled French heifer Flamme. 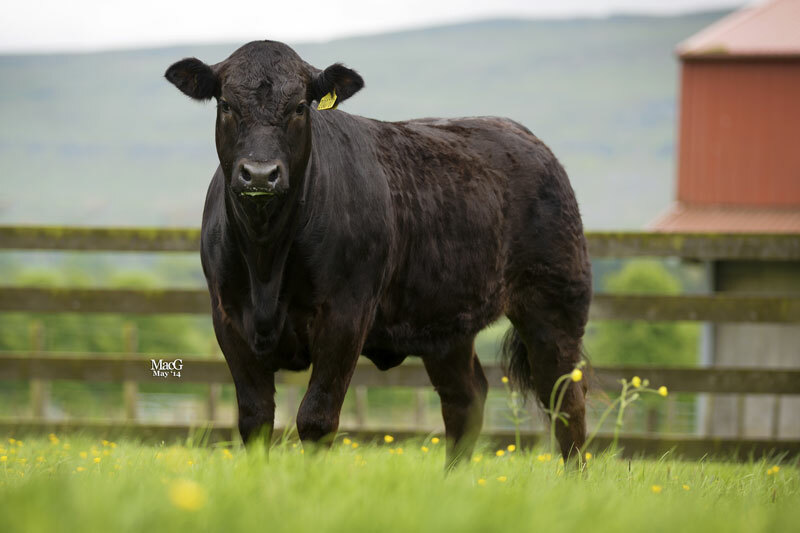 Grahams Ivy – Sired by the Irish bull Baileys Elderado (sire of the 37,000gns Grahams Humphrey), Ivy is blessed with the same style and balance as Humphrey. Her dam is Grahams Ferne, a daughter of Grahams Alexander. 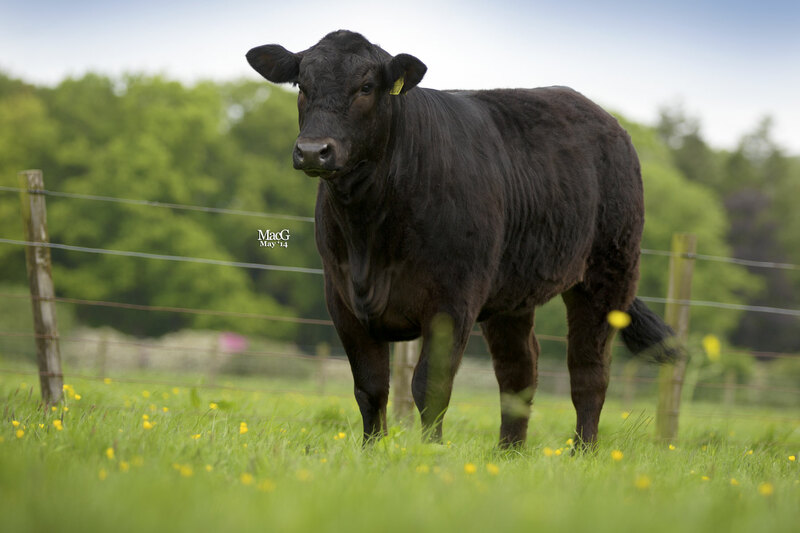 Grahams Black Image – Image is a daughter of Goldies Forever Black, and her dam, Tomette, is a testament to logevity, giving birth to Image at 11 years old, and still looking great! Grahams Black Ingrid – The Grand-dam of Black Ingrid is the great French import Agate, which is also the dam of our first lot in the sale, Grahams Hazel. Agate was the dam of the 10,000gns Grahams Ethel. This lovely, quiet, smoth fleshed heifer is again sired by the 30,000gns Goldies Forever Black. 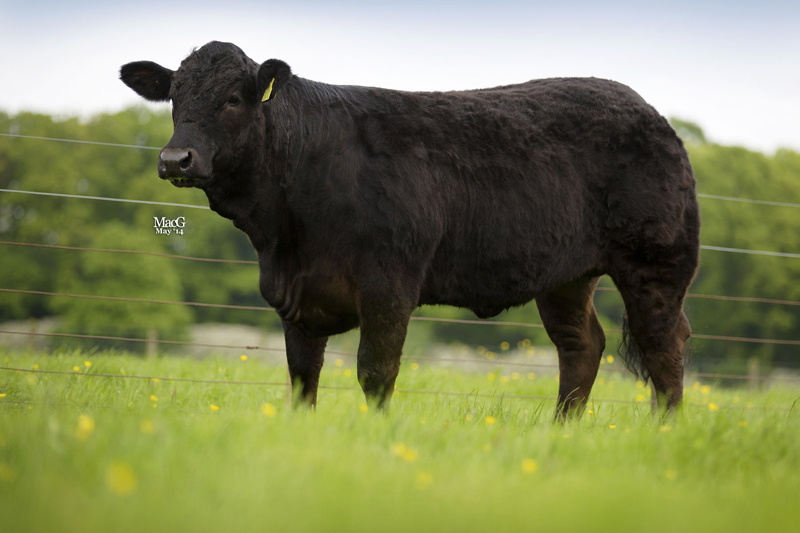 Grahams Black India – This black heifer is blessed with the length and style of her sire, Goldies Forever Black. Her dam, Uline, is still in the herd at over 11 years of age.